Having been to Mozambique before, makes going this time will be a little easier. I know that you can get most everything in country, not always the same quality with some things and better quality with others, but either way we will be fine. I have a few personal items that I can’t leave without, and to each person those personal items would be different so you may not understand why I am taking what I am. 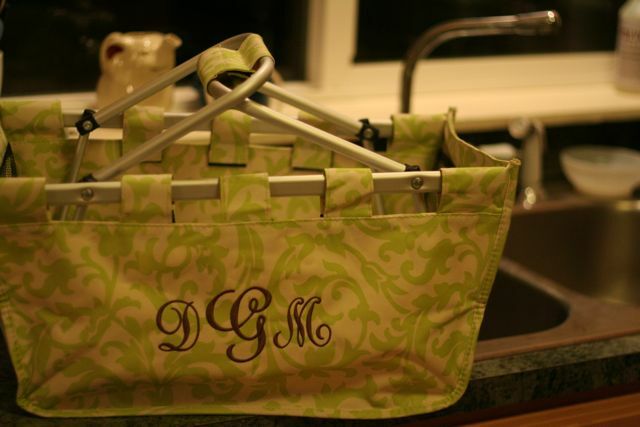 Besides clothes, cameras and computers, these are the personal items that I am taking…. 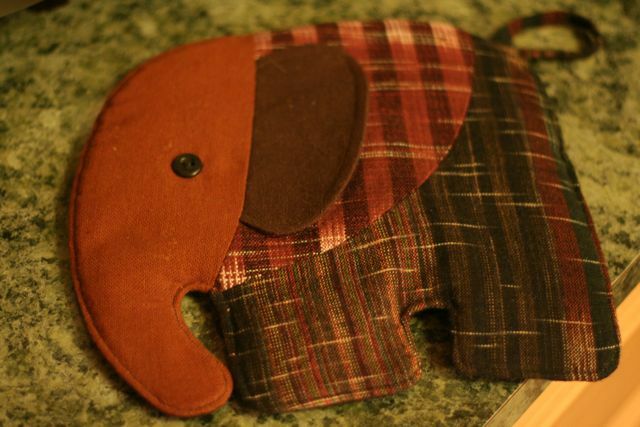 My elephant pot holder given to me by a special friend! And a special basket from the nerd. She surprised me with this, and I use it all the time. This entry was posted in Africa on February 22, 2011 by Deanna. Awww yay! Glad I could make the list. I’m very excited to see your posts once you are there. I love your elephant! 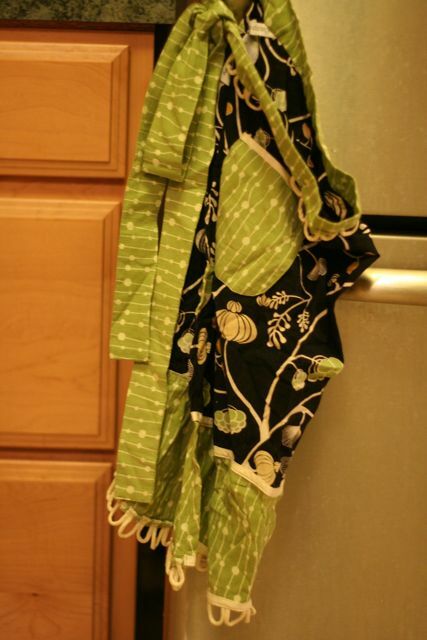 Your elephant, apron, and basket set up in your new kitchen will instantly make it feel like home! Take care!